This is yet another version of Dave Tooley's MBR design, but Bruce Baer has produced an exceptionally nice variant. The toe has slightly less drop than the McMillan MBR and the fore-arm side flats are a bit more pronounced than on the 'glass MBRs. 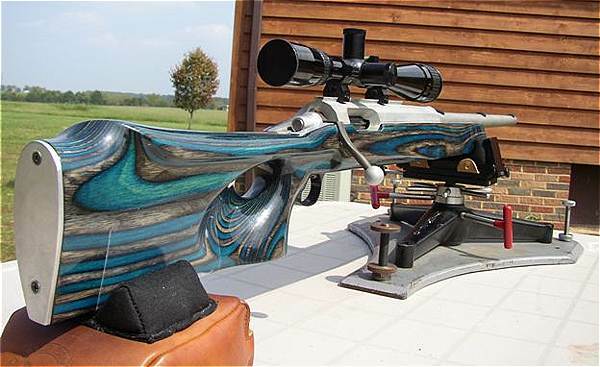 This stock has been very popular with its owners. This stock is also available with an Edge-style I-beam fore-end. Baer stocks are straight and square and don't need a lot of "cleaning up" to track properly. Stocks can be customized on request. Bruce also makes a very nice roll-over comb thumbhole stock.